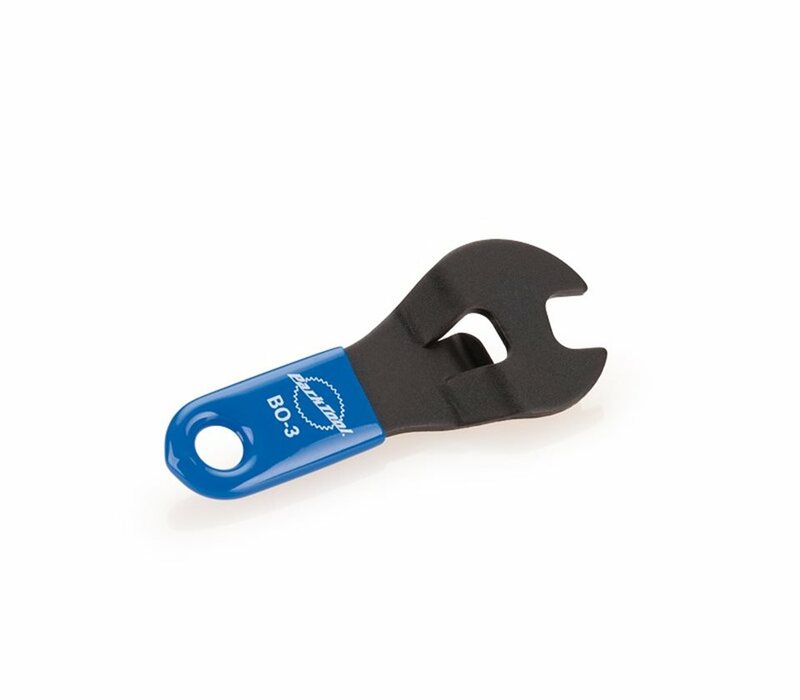 A compact opener featuring Park's world famous blue handle and a 10mm wrench. Fits perfectly on a keychain or in a pocket or wedge pack. A take along tool you shouldn't be without. 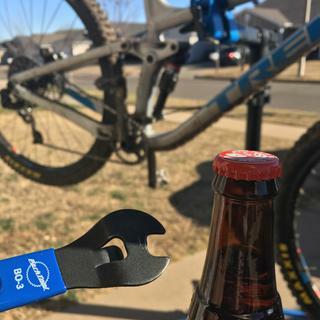 End that epic ride with some brews! It's like owning a small piece of heaven when needed the most. While opening bottles with teeth is possible, why cause yourself that much pain? Great opener in a compact package! You've just experienced an epic day in the dirt and now it's time to bathe and pamper your two wheeled steed back at the garage. Water hose, check. Degreaser and brushes, check. Tasty beverage of your choice, check! Those pesky glass bottles filled with liquidy goodness don't just open themselves. 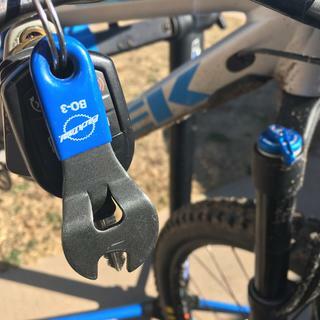 That's where Park Tool's BO-3 Keychain Bottle Opener comes into play. This micro sized yet precision crafted beverage access device saves the day efficiently uncapping any bottle and liberating its tasty contents with ease! Always at the ready, the BO-3 can be affixed to your keychain (as mine is, always at the ready! ), a lanyard in your pack, or stowed within a pocket of your favorite baggies! You like liquid in glass bottles? This tool is for you! It opens beer and/or less offensive bottled beverages with ease. It's apparently also a 10mm wrench... Haven't tested that assertion. Takes a little bit of care to get the opener on your key ring without damaging the blue rubber. Once you do that, everyone will know that you'll do anything to call attention to your bike mechanic skills. Cheers!